Honda is set to launch the tenth gen Civic in India by April 2019. Honda had showcased the pre facelift version of 10th gen Civic at the 2018 Auto Expo earlier this year. The car has now received a facelift, which will be launched in India early next year. 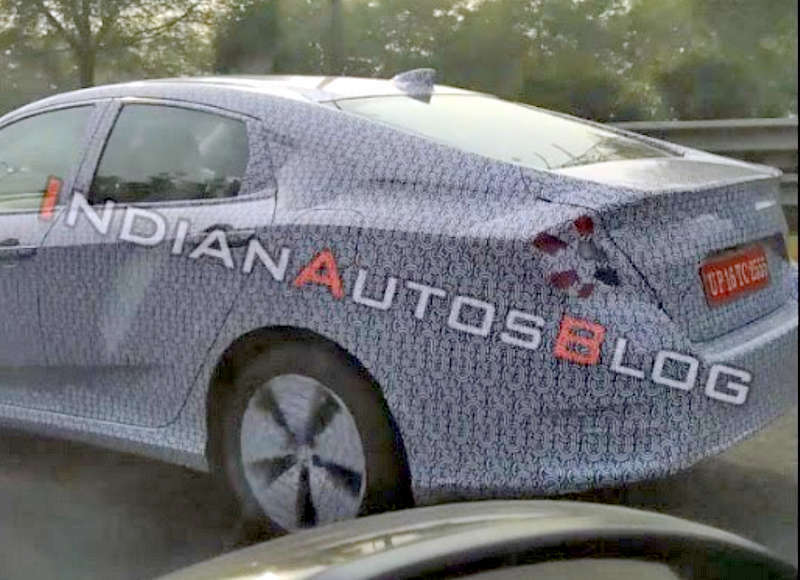 Ahead of that, the car has been spied on test in Indian roads for the first time. 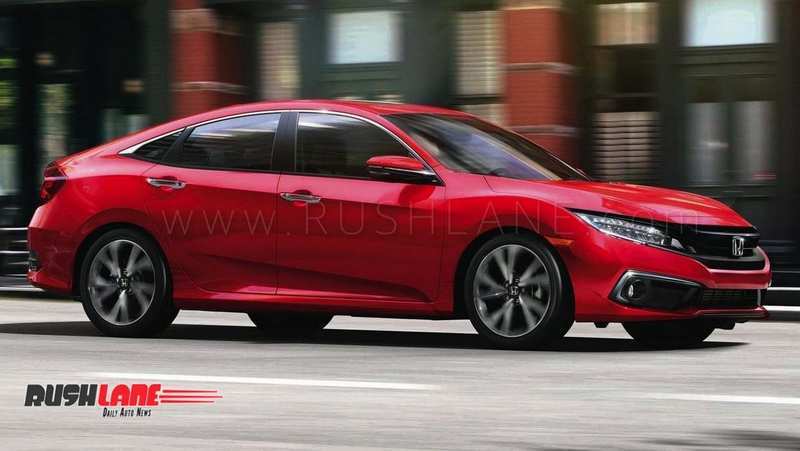 2019 Honda Civic looks sportier than its outgoing model. It gets refreshed exteriors and interiors and petrol and diesel engine options. Exteriors will be seen with a new front fascia with a grille finished in piano black. It will sport LED headlamps with LED DRLs and chrome accents around the fog lamp housing. The front end of the Honda Civic is given a new look with an angular bumper design. The side profile sports a new shoulder line which starts at the headlamps and integrates into the tail lamps. New alloy wheels and a host of chrome accents are also a part of its makeover. Interiors of the 2019 Honda Civic gets updated technology and new safety features. It is seen with a 7” touchscreen infotainment system supporting Apple CarPlay and Android Auto. It also receives wireless charging system, a sunroof, rear AC vents and front and rear passenger arm rests. In terms of safety, the new Honda Civic facelift will be seen with cruise control, 6 air bags, ABS, EBD, collision warning, mitigation system along with automatic braking, lane departure warning and lane keep assist. The 1.8 liter i-VTEC petrol engine will deliver 141 bhp power and 174 Nm torque while the 1.6 liter i-DTEC diesel engine will be capable of 118 bhp power and 300 Nm torque mated to 6 speed manual or 9 speed auto gearbox. One can expect to see the 2019 Honda Civic in India by April 2019. Once launched, it will compete with the likes of Toyota Corolla, Skoda Octavia and Hyundai Elantra. No exact pricing details have been revealed, but considering its competition, prices between Rs 18-24 lakhs is what one can expect. The Hyundai Elantra is currently priced from Rs 13.69 lakhs.